One of the most exciting parts of living a creative life is finding kindred souls along the journey. I had the good fortune of meeting author Lisa Manterfield several years ago at the UCLA Writer’s Studio, and I quickly discovered I’d found a both a talented writer and cherished friend. Lisa’s writing is a marriage of science and emotion. An accomplished writer of both fiction and nonfiction, Lisa is unafraid to venture along the dark and curving paths of human experience (or climb onto high, precarious ledges). She invites her readers to the call of the wild while awakening a sense of timelessness and gravity, united with both the earth and beyond. Wherever Lisa takes her reader, you can be certain it’s new territory and you wouldn’t want to be there without her as a guide. Lisa Manterfield is the award-winning author of A Strange Companion and I’m Taking My Eggs and Going Home: How One Woman Dared to Say No to Motherhood. Her work has appeared in The Saturday Evening Post, Los Angeles Times, and Psychology Today. Originally from northern England, she now lives in Southern California with her husband and over-indulged cat. Her newest book releases today! I’m honored to be among the first to announce Lisa Manterfield’s latest novel, The Smallest Thing. In celebration, you can ENTER TO WIN a lovely swag box that includes a signed copy of The Smallest Thing and some fabulous gifts. We chatted about her experience researching and writing the story, and why her protagonists’ fathers tend to figure so prominently. I got the inside scoop on how published authors can find effective book marketing techniques that work for their readerships. Ok, let’s begin! First, tell us what The Smallest Thing is about. LM: When 17-year-old Emmott finds herself trapped in her tiny English village by a government-imposed quarantine, she must choose between saving herself at all costs or doing what’s right for the people she loves the most. RL: What is the category and genre? Did you plan to write for this audience, or did the story dictate its own voice? LM: The book is contemporary YA with a strong cross-over into Adult. I didn’t set out to write YA. I tend to write for a slightly older reader, but I needed to tell this story and my main character dictated the category. She was pretty adamant about telling it her way. RL: This has been a very big year for you as an author! You’ve released not one, but two books, A Strange Companion and The Smallest Thing. How are they similar, and how are they different? LM: They are both stories that demanded to be told and stuck with me until I wrote them. They’re both set in Northern England, in surroundings that are very familiar to me, and they both have young female protagonists who don’t always behave well. Both Kat and Em make some poor choices in their stories and don’t always treat people as well as they know they should, but in the process, they both learn a lot about who they really are. In both stories, there is a romance element, a struggle with family dynamics, and of course, death. Love, loss, and family always seem to crop up in my work. Beyond that, my first novel, A Strange Companion, is a coming-of-age love story with paranormal elements. The Smallest Thing is a big mash-up of adventure, thriller, sci-fi, and romance. At their cores, though, they are still stories of young women figuring out who they are in the world. RL: The Smallest Thing is loosely based on a true story about Eyam, “The Plague Village,” in Derbyshire, England. Can you tell us a little about the historical facts that inspired your novel? LM: I grew up not far from Eyam and have always been fascinated by the story of self-sacrifice. The Great Plague was raging in London in 1665 and found its way to Eyam, some 150 miles away, when a local tailor brought in a bolt of cloth containing fleas (probably not unusual at that time.) When people in Eyam began succumbing to the plague, the villagers, led by the local vicar, made the decision to quarantine their village to prevent the spread of the disease to surrounding villages and to the thriving market town of Sheffield, my hometown. That decision saved untold thousands of lives, but cost the village dearly. All told, 260 of the 350 villagers lost their lives. One of the personal stories that stayed with me is that of Emmott Syddall, a young woman whose fiancé lived outside the quarantine zone. It’s rumored they continued their courtship at a safe distance across the village boundary. Rowland Torre was reportedly one of the first to enter the village when the quarantine was lifted. Only then did he learn that Emmott had not survived. I took a great many liberties with the facts in my contemporary version, but the themes of love, self-sacrifice, and community are still what drives the story. RL: You and I share the trait of writing young characters with dead or absent fathers. What is the significance of this in your stories? LM: Ah yes. My dad died suddenly when I was 15. Thirty years later, I am still trying to work my way through that in my fiction. While neither of my novels is a fictionalized version of my personal story, there are elements of me in there. Like Kat, I was not prepared for the loss of my dad and, also like Kat, it took me a long time to work through my grief and move on. I suppose with Em, I was exploring what it might have been like to try to break away from my dad’s expectations for me, and be my own person. I imagine it would have been just as contentious as Em’s battle for independence, but hopefully not in such a terrible environment. RL: Your protagonist Emmott is separated from her boyfriend when her village is quarantined. Under the same circumstances, how do you think you’d fare if your wonderful husband Mr. Fab and your devoted kitty Felicity were across Cucklett Delf? LM: Astute readers will notice that there are no pets in the village. I made a deliberate choice to exclude them. I had no trouble writing terrible deaths for people, but I couldn’t bring myself to do it to the pets. But, as you’re forcing me to imagine this scenario, I think I would be very grateful that Felicity and Mr. Fab were out of harm’s way. And then I would get down to the business of self-preservation. I’d like to think that I would also be a good citizen and try to be helpful to those trapped with me. We never really know how we’ll respond in crisis until it happens. Generally, I’m pretty cool under pressure, but who knows how I’d act if my life were truly in danger. RL: Your biweekly inspiring blog posts have attracted a wonderful community of newsletter subscribers. Do you have any book marketing advice for indie authors? LM: There are mountains of really solid information out there from authors who are insanely successful and have more information than I could offer. The problem is, there is SO much information and much of it is conflicting. It can be completely overwhelming for a new author. So my advice would be to read voraciously, gather information from several sources, and then walk away and think about what kind of author you are and what exactly you want from your career. Then pick the tools that will support that, take a deep breath, and do something that feels right. It may take some trial and error to find your groove, but it will end up being a lot more effective than hurling yourself into someone else’s best practice only to find it’s a poor fit. RL: Do you maintain complete control over your characters or do they ever take the proverbial wheel? LM: I tend to let them run wild and free in the first draft. I have an idea of what I’d like to happen, but I try to stay open to possibilities. The “mysterious man in the HAZMAT suit” in this novel was not in my original idea. He came out of a writing prompt, but the second he appeared, I knew he had to stay. His creation dramatically changed the course of the novel for the better. RL: Do you miss the company of your characters when you finish writing a book? LM: It took me ten years to write my first novel, A Strange Companion, largely because I couldn’t let go and call the book finished. Perhaps one of the hardest skills to master is finding that sweet spot between revising a book until it’s as good as it can be and knowing you’ve reached a point that there’s nothing more you can do and that more twiddling will only make the book worse. At that point, it’s time to move on. When I’m working on a book, I am in that world with those characters. I wake up thinking about them and I talk to other people, not about the book as a whole, but about the characters by name. Once a book is finally finished, though, I go through a brief period of mourning, and then I let it go. And I’m a fickle lover; I’m already deep in a relationship with a whole new set of characters. RL: Thank you, Lisa! I look forward to meeting your new characters and continuing our travels together on the journey of writing. Best of luck, wherever your creativity takes you. a lovely swag box that includes a signed copy of The Smallest Thing and some fabulous gifts! Size: 5.25 x 8.00 in. Stay in touch with Lisa Manterfield! Filed under Who is Writing What? Sometimes we receive unexpected treats. An author interview allows us to pause a moment and consider why we’re doing the work we are, and what we’re really trying to say in our novels. Every time I’ve sat in the spotlight as interviewee, I’ve come away with a surprise insight about my journey, or an “aha!” moment about an issue I’d been struggling with. Recently, I had the indulgent pleasure of being interviewed by a trusted confidante I hold in high esteem: Lisa Manterfield, author of the paranormal romance A Strange Companion. What I’m writing RIGHT NOW. I was asked today why music plays such a big role in my fiction writing, and I remembered an interview I did for Mixtape Methodology with the band High and Mighty Low while researching and writing my debut novel RADIO HEAD. The band covered The Beatles’ iconic song Blackbird, and it got me thinking about how a single song can leave an indelible mark on our lives, just as a good book might. Please read on and share the song that’s your jam. What’s your jam? Maybe you heard your latest fave last night at the club. Or is your best-loved song an old favorite? Many music fans create playlists or vinyl collections featuring songs marking a significant time, or a rite of passage. The beginning of a relationship. Or its end. A song played on repeat in the privacy of headphones or on your morning commute is, for that moment, yours alone. What you listen to forms a lens, calibrating your worldview. When one powerful song becomes “my jam,” it’s the manifestation of your own anthem. It’s kind of freakish to think about the ingredients that go into an original song. Assuming the band gets along and every member contributes his or her best material, a song comprises the amalgam of the group’s talent. It conveys an image and philosophy using lyrics, and an arrangement of notes to form a melody that carries its own story. A song sets a tone, and illustrates an atmosphere, combining instruments that both harmonize and counter. Arguably, a song is only an idea, rhetoric perhaps, until it is performed. Musicians and singers come to the mic with a personal aesthetic, an inborn message and style, and the restless desire to share their creation with an audience of listeners. The final production includes the input of accompanying musicians, producers, and audio engineers. And possibly Yoko Ono types. But what about when a band chooses to cover another performer’s song, recording and releasing it alongside the group’s own original offerings? What’s the significance, a shoutout back to the original song-writer? Or perhaps it’s a revelation, a keepsake or a snapshot holding a truth about the performer covering it. Like all music fans, musicians are drawn to songs that mattered to them, for whatever reason. Maybe their favorite marks a milestone. Maybe it gashed a deep wound leaving a lifelong scar, rendering that chosen song a souvenir that must be shared. A covered a song allows listeners to know a given performer on a deeper level than even his or her own creations might reveal. Call it trickle-down mastery, the artists who came before established and reinforced the foundation of modern music. A student’s mastery of an instrument or a vocal style is influenced by the teachers who lead the way, who held the light on the path. For professional performers, those teachers were often their favorite songs. Los Angeles-based rock band High and Mighty Low is gaining a strong following with their debut album, Bones. The group is comprised of John DiBiase (guitar, vocals), Matt Boehm (guitar), Jeff Mallow (guitar), Scott Schneider (drums), and Rick Zaccaro (bass). Bones covers a broad field of guitar-heavy alternative rock, from the howling guitars featured in Taken to the blazing and energetic, The Tragedies We Hold, to a melodic nod to popular music with, Half The Time. High and Mighty Low chose to release its debut album with a bonus track, a cover of The Beatles’ Blackbird. A song you’ve likely loved too at some point, Blackbird is listed among the top ten most covered songs, from a wide spectrum of performers in several music categories, from folk-infused Sarah McLachlan to an extraordinary arrangement by Alicia Keys, with only her piano as accompaniment. Pearl Jam’s Eddie Vedder and Foo Fighters’ Dave Grohl have often favored Blackbird at live shows. Blackbird first appeared on The Beatles (also referred to as the White Album). Written and originally performed as a solo effort by Paul McCartney, Blackbird is credited nonetheless a Lennon-McCartney collaboration. Blackbird is frankly a weird outtake from High and Mighty Low’s overall sound esthetic. Frontman John DiBiase offered some insight about why the band selected that particular song. Blackbird was recorded on June 11, 1968 (released November 25, 1968), decades before any member of the band was born. How does Blackbird speak for High and Mighty Low, building a bridge beyond the lyrics, melodies, and arrangements they’ve crafted for themselves? “I love how stripped down that song is,” says DiBiase. “And the guitar playing is obviously fantastic by McCartney.” Stripping down seems to be a hot topic for the DiBiase and the band. The word “bones” happens to appear in a few tracks he wrote “Considering how stripped down some of the album is, I just felt Bones was an appropriate title,” DiBiase added. According to Rolling Stone magazine, McCartney recorded Blackbird on his own. George Harrison and Ringo Starr were across the pond in California, and John Lennon was recording the song Revolution 9 in another studio. When they were school boys, Paul McCartney and George Harrison attempted to learn a Johann Sebastian Bach piece called Bourrée in E Minor, a song, like Nadler’s Fake Plastic Trees, which marked a significant period in their lives, and on the journey to learning their craft. It became, essentially, their jam. McCartney carried that musical souvenir into adulthood. He said that Blackbird’s fingerpicked guitar lines, written at his Scotland farm, were based on Bach’s Bourrée in E minor. “Hearing him tap his foot is something,” says DiBiase, referring to the distinctive background sound many believed was merely a metronome. Audio engineer Geoff Emerick mic’d up Paul McCartney’s foot tapping, and added recordings of a singing male blackbird. McCartney told Emerick he wanted the song, “to sound as if he were singing it outdoors.” Emerick said, “Then let’s do it outdoors.” Blackbird was recorded outside Abbey Road Studios’ echo chamber. The whole production flows in the vein of a busking folk singer in the decade of discontent. The lyrics portray McCartney’s response to US race relations in the 1960s. Sir Paul was in good company. Bob Dylan, Sam Cooke, Pete Seeger, and Joan Baez were also driving forces for grass roots change. But what is it about Blackbird that has endured, enough to inspire a bunch of L.A. dudes in their 20s to resurrect the old favorite? Aside from its significant and long-standing message, John DiBiase says the song “is fun to play, on or off stage. I really do love it.” McCartney would have to agree. Paul McCartney felt compelled to perform it for fans camped outside his house. His inspiration? It was the first night his future wife Linda Eastman stayed overnight. Perhaps that’s what transforms a good song to a classic; it reminds you of a time you’ll never forget. Because it’s nearly impossible to choose only one favorite, the author invites music fans and musicians alike to send their top ten all-time favorite songs to the RADIO HEAD book Fan Playlists page, here. Your top ten matters, share it with the world. Now, the tables have turned. 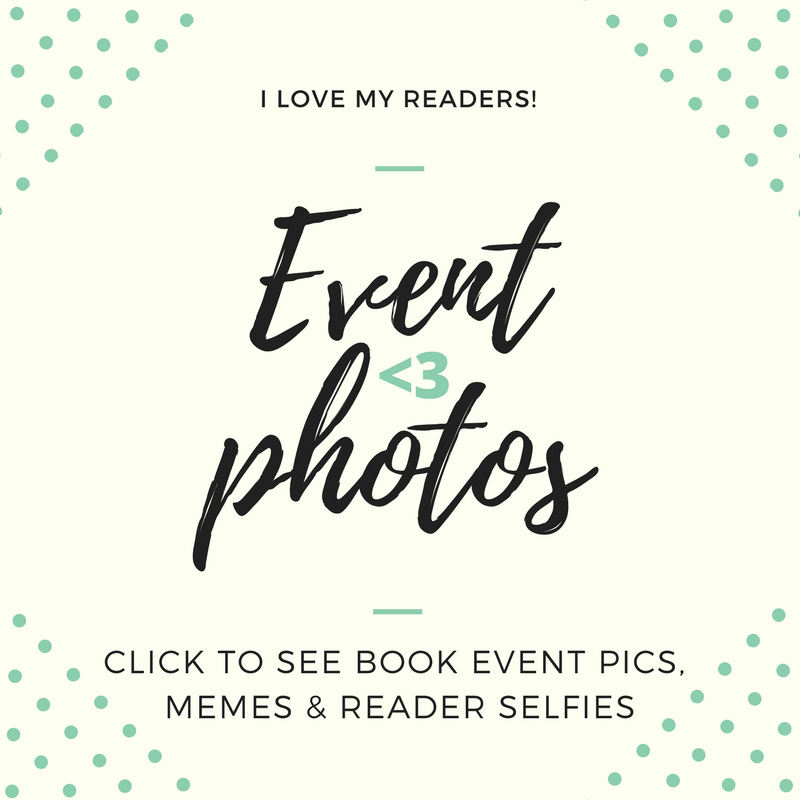 Let’s shine the spotlight on Lisette Brodey to learn more about her books, get tips on using social media to promote books, the ins and outs of e-book pricing, and the lowdown on what she’s working on! Rebecca: Wow, you’ve written several books in a variety of genres, including Literary Fiction, Young Adult, Womens Fiction, and YA Paranormal. Can you tell us about this diverse approach to writing? Lisette: I never set out to try multiple genres for the sake of it; I simply had stories I wanted to tell that fell into different genres. If pressed to claim a genre, I would choose literary fiction, as that is likely to describe what I plan to write in the future. For now. No matter what the genre or no matter how serious the story, humor has and always will be a part of my writing. So, for that reason, I had to write at least one romantic comedy. Molly Hacker Is Too Picky! was a great deal of fun to write and has been well-received by readers, but I probably won’t write another book like it. I wrote the Desert Series because I’ve had a lifelong interest in the paranormal. Not having written about any of it when I was a teen, as the saying goes: better late than never. R: Is there a genre – or category – you’re curious about, but have never tried? L: I would love to write a psychological thriller. If I ever find an idea that I’m passionate about, I just might do that, but I don’t foresee it in the near future. R: I understand you have some news to share! R: Can you tell me about your latest boxed set, The Desert Series? L: The Desert Series is comprised of three novels: Mystical High, Desert Star, and Drawn Apart. A YA paranormal trilogy, this coming-of-age series takes place over a span of six years in a dying town called Mystekal in the Southern California desert. While this is a paranormal series, I think of it more as “realistic paranormal.” There are no werewolves, vampires, or shapeshifters. There are teens, their families, and teachers who are all going through very real problems of their own when the paranormal steps in and complicates matters. The books can be read as standalone novels. There are no cliffhangers at the end of the first two novels. However, because it is a series, a reader will derive the most insight and satisfaction by reading all three books, as some of the stories do go on. Many issues and themes are covered in the books such as: abandonment, bullying, mental illness, loss, divorce, dating, jealousy, miracles, friendship, soul mates, true love, and much more. There are also different paranormal elements in each book. That’s the very short version. For readers interested in knowing more, a full synopsis of each novel (or the series as a whole) is available on Amazon.com. R: I’d like to learn more about the characters in The Desert Series, and why you like them. L: River Dalworth has been a favorite to write and a favorite of readers. We first meet him in Mystical High when he is fourteen. While he derives great pleasure in the role of obnoxious little brother to Jessie, he’s much more than that. Having read the entire dictionary at a young age, his vocabulary is far more advanced than most (only when he wants it to be), and he’s knowledgeable about subjects that many people don’t even know exist. River is a talented artist who possesses paranormal gifts. He’s witty and funny, but he’s not as great being on the receiving end of all that he dishes out. Larsen Davis, a gay black teen who is bullied at home by his alcoholic single mother, is another favorite. In Desert Star, he and River become the best of friends. Also introduced in Desert Star is the Martelli family from Jersey City, NJ. They come from a very different culture yet they experience things in Mystekal that rival all of the craziness they’ve known in Jersey City. Avalon Martelli, a vintage clothing freak and an artist with the gift of sight, has learned to be tough, but she’s an honest and compassionate friend. In the last book, Drawn Apart, all of the characters I’ve mentioned play a role. A new character, Stephanie Lambert, is Avalon’s best friend. A self-described hopeless romantic, poetry geek, and a true believer in soul mates and past lives, Stephanie is in an accident and falls into a coma only weeks before graduation. Those are just a few of the characters that I really love. Now that the series is published, I miss spending time with each and every one of them. R: What else have you written? L: I have written Squalor, New Mexico (a 1970s coming-of-age novel shrouded in family secrets), Crooked Moon (a story about two childhood friends coming together after 23 years, having lived very different lives), and Molly Hacker Is Too Picky! (a romantic comedy). I have two short stories published in an anthology: Triptychs (Mind’s Eye Series, Book 3). R: We have something in common: we both prefer writing scenes in order. Not everyone does. Can you tell why you prefer to write this way, and any benefits other writers may gain from trying it? L: For me, it’s pretty simple. Today affects tomorrow but tomorrow can’t affect today. When you think about life, even the little things that happen each day often become a part of what happens the next day. So, for me, writing scenes out of order throws my brain out of order. While I don’t micro-plot my books, I do have a basic outline and I know what revelations will be made and how things will come together in the end. However, as each novel or story unfolds, I discover new nuances and new directions. Even the smallest of details often have a major impact on what comes next. For that reason, I can’t write the middle or the end before the beginning. If I had a brilliant idea for a scene, it’s possible that I might write it out just to get it down before I lost my inspiration, but that would be the exception. R: Writing books is clearly your passion! What do you enjoy the most about writing a novel? The least? L: I always enjoy writing the second half of the book more than the first. I suppose that is because after carefully laying the foundation, it’s great fun to tie up the stories, let the readers know where the “bodies are buried,” and all of that good stuff. But really, my favorite part is writing any scene where I can slip into that creative zone, and like magic, the book feels like it is writing itself, and I’m merely a transcriptionist. My least favorite part is getting edits back and wanting to bang my head against a wall of nails. R: I’ve learned that I have to know my book’s ending before I begin, or I’ll write myself into a corner. Is it important for you to know the ending before you write a new novel? How about the title? L: Yes! I need to know the ending, but as I mentioned earlier, that doesn’t mean that the ending can’t change or evolve as I go along. Despite the fact that I write in multiple genres, my books have one thing in common: I always have multiple story arcs that tie together in unexpected ways. That kind of book is pretty much impossible to write if I fly by the seat of my pants. And yes, I really like to know the title of the book. I didn’t figure out the title of Crooked Moon until I had written Chapter 4, but that is rare for me. Very. R: Some writers edit excessively as they write; others wait until a novel is finished to do the bulk of the editing. How about you? L: I hate the idea of a true “rough draft.” I really hate it. I strive to make my book as clean and error-free as possible when I type “The End.” That said, that’s impossible to do. But I strive for it all the same. Other authors have advised, “Don’t stop to edit; it ruins creativity!” My response is that I can do both. Naturally, if I’m writing a scene that is really working, no, I’m not going to stop and edit it. I’ll keep the creativity and the passion flowing until I’ve gotten it all down. But eventually, I’ll be ready to move on. And before I do so, that’s when I’ll go back and edit what I’ve already written. R: When you read books for pleasure, what aspects do you like best? The least? L: I don’t do well reading books with an excessive number of characters. I like reading stories that really grab me and that I don’t have to struggle to keep the characters or plot together in my head. I said earlier that I’d like to write a psychological thriller. I love reading them, too. But really, good writing draws me in no matter what the genre. R: You’ve interviewed dozens of fellow authors on your fabulous website, Lisette’s Writer’s Chateau, including me! It was an exciting experience, and I especially enjoyed how much I bonded with other authors you’d invited to the chateau. Are your writing and creativity methods similar or dissimilar to your visiting authors? L: I find it fascinating how some authors write with no outline, or, conversely, how some will micro plot a book. That said, the former is far more prevalent. If I were writing a book about a character who abandoned her life, jumped in a car, and took off for places unknown, who knows, I might experience life as that character does and not plot my book. There is no right or wrong, but decisions that writers make often depend on what they are writing. Sometimes authors write about their experiences putting their work out there for public consumption before it is finished. Again, not the wrong thing to do, but not something I would do in a million years. R: As authors, we often hear conflicting opinions about marketing as it relates to publishing. How did you figure out what works for you? Any advice about e-book pricing, book promotion, and social media usage? L: Let me first tackle the subject of e-book pricing. I have spoken to countless authors about this and read numerous blogs by authors who have set out to find the answer once and for all. I don’t think there is any one answer. The millions of free books out there help to make it a very tough market for indie authors. As we all know, people are far more likely to pay for a good cup of coffee that took minutes to make, than to pay for a book that took a year or more to write and edit. For most writers, this is maddening. As well it should be. Frustration aside, I have chosen to go for lower price points than some other people because I want to gain readers. What I do not care to do is give my book away for free. I often have promotions for 0.99, but that’s as low as I go. I work very hard on every book I write. I’m often shocked when I see a fellow author’s book for a price tag I know that few people are going to pay. Usually, in these cases, it’s because they’re with a small publisher who wants to make money. But putting high prices on books is usually just a lose-lose proposition for both parties. Books need to find readers. As for book promotion, I usually research the companies that have dedicated mailing lists for readers who are looking for deals in certain genres. I don’t care about companies who have purchased mailing lists, but companies who have had individual people sign up for a list because they actively read books and are looking for deals. I will not pay any promotion company based on their social media following. I am not condemning any company who offers this service; I’m strictly stating my own preferences. As for using social media for promotion, I make sure that no more than 20% of what I post is about my work. For the most part, 90% of my social media efforts are on Twitter. I not only promote other authors when I can, but I also post content of interest on many subjects. And lastly, I interact with people. I can’t get to know everyone, but I do enjoy trading words with other human beings. What I will never do to promote is send anyone a direct message about my work or ask a new follower for any kind of favor. I will never spam another person by sending an unsolicited tweet with a link to my work. Needless to say, I don’t respond well when others do that to me. It’s not a good way to make oneself known. Just sayin’. R: We hear you’re working on some juicy projects you haven’t told anyone about. Our ears are burning! L: I want to share that I am currently working on my seventh novel which is literary fiction. I developed these characters when I was only seventeen years old in the form of an unfinished short story. Later, that unfinished story became a one-act play, then a two-act play. The time has come to turn it into a novel. It’s really interesting for me to write characters that I have known my entire adult life. Simultaneously, I’m working on a short story collection. I have four finished stories and write each one as I am inspired to do so. Last, but not least, Rebecca, I would like to thank you for graciously hosting me on your site. Also, I would like to thank all of your visitors for reading my interview. To all who write: write on! Lisette Brodey was born and raised in Pennsylvania. After high school, she moved to New York City where she attended Pace University and studied drama. After ten years in New York, several of them working in the radio industry, she moved to Los Angeles where she held various positions at Paramount Studios and CBS Studio Center. Back on the East Coast, she worked for many years as a freelance writer, specializing in PR and the entertainment industry. In 2010, she returned permanently to the Los Angeles area. Lisette hosts guest bloggers and interviews fellow authors on a weekly basis at her Writer’s Chateau. Filed under Best Writer Tips, Fiction Novel Writing, Who is Writing What?